that anyone else in my house was too upset about not having salad for their lunches. The boys in this house rarely clamor for salads.) I made the garden salad two days in a row and then I made the pasta salad and ate it for lunch for the next three days. I really really liked it. Can you tell? I just made a second batch of the pasta salad and I’m pretty sure I’ll be eating it all weekend. 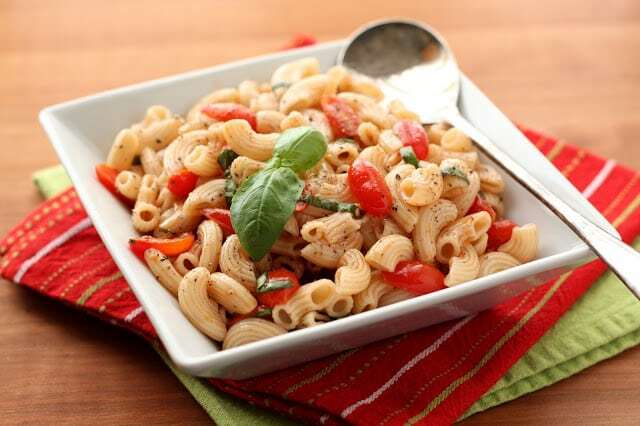 I love the ease of a light pasta salad in the warmer months. tomato juices. Sprinkle with cheese and serve immediately. Enjoy! Bring a pot of water to a boil, add a tablespoon of salt and then the pasta. 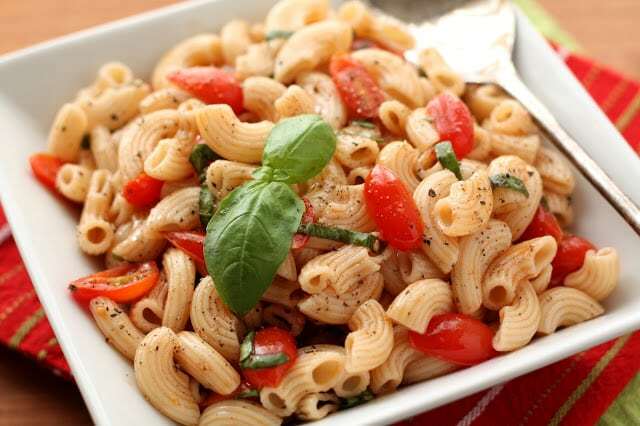 Cook the pasta to the tenderness you prefer and then drain and rinse well with cold water until the pasta is cool. Combine all of the above ingredients in a bowl and stir to combine. Cover and refrigerate for at least 6 hours, preferably a day or so. Stir again before serving. Enjoy! Lovely use of those marinated tomatoes!! I especially like the pasta salad! Both salads look gorgeous, but I love how bright and colorful the garden salad is. Can't wait to try your champagne marinade. That pasta salad looks to die for. I love how simple this is once you have the yummy tomatoes made! Sounds delicious!! 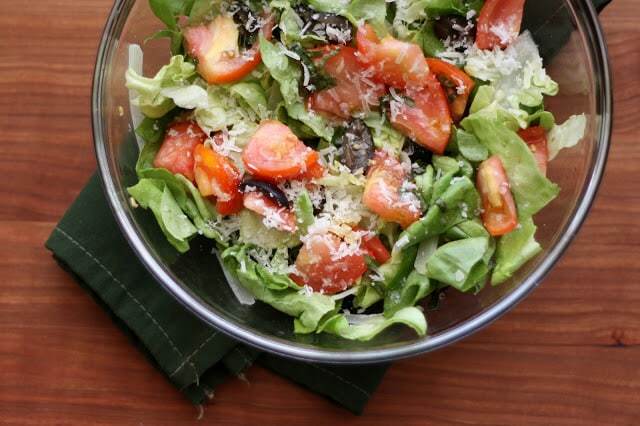 I'm digging pasta salads right now, especially for summer! So fresh, so colourful, good enough to eat! Champagne marinated tomatoes! How did I miss those! These both look delicious. We have two potlucks this week, and I'm eager to try at least one of these recipes! Thank you for sharing. Tomatoes are so glorious this time of year! Yup - I was thinking those tomatoes would be perfect in pasta - you're way ahead of me!